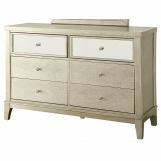 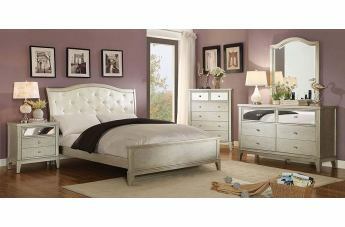 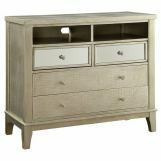 Turn your bedroom into something you'll truly love with this luxurious Adeline bedroom set. 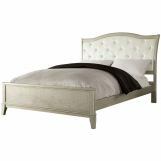 The leatherette headboard is tufted with Crystal-like buttons, while the footboard features crocodile skin leatherette. 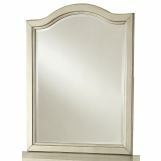 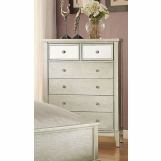 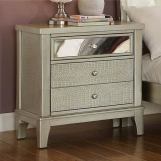 Case goods have mirror panels on the top drawers, all finished in a sleek silver gray.